All about the Hair Drug Test Process and when Hair Drug Testing is Suitable. It is becoming increasingly common for employers and the courts to ask for a Hair Drug Test. Testing for illegal substances in hair gives you a greater time frame of detection than urine, blood and saliva. 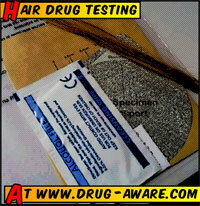 In fact, you can often detect drugs in hair for several months – if not years, if the hair is long enough. The most common request we have for hair testing is a 3 month or 90 day history of drug use or abstinence, requiring a 3 cm (1 ¼ inches) length of hair sample. It is possible to test less than one centimetre up to any length of hair sample available, however we have to section longer hair samples into maximum 3 cm sections, to maintain the sensitivity of the hair test. As a result, the profile of drug use can range from approximately 7 or 8 days history up to in excess of 2 years (if the person’s hair exceeds 24cm in length). How much hair is required to carry out a hair test? About 50 strands of hair are necessary – obtained from the crown of the head, which is about the width of a thin pencil, or perhaps the tip of a shoe lace. There are typically in excess of 100,000 strands of hair on the head of the average person, so this should not make any cosmetic difference, unless the individual’s hair is very short. Hair Drug Tests detect drug use over months, not days. Collecting a sample for a Hair Drug Test is very simple and non-invasive. Monitoring abstinence is possible over a length of time. Hair testing results stand up in court. Are there disadvantages to carrying out a Hair Drug Test? The two main disadvantages to hair testing are cost, and the time frame necessary to get results. It takes several days to digest the hair sample to a stage where it can be analysed, so we have to quote up to 10 working days on any hair analysis. In terms of cost, we charge £65 plus VAT for the sample preparation (which takes about 3 days) and then £45 plus VAT per drug per section. There are a choice of about a dozen drug classes, but 1 or 2 main ones are common. So why choose Drug-Aware for your Hair Drug Test requirements? At Drug-Aware, we pride ourselves on providing a total solution when it comes to organising a Hair Drug Test. We offer technical support in relation to the test, and are happy to explain everything (in complete confidence) to give you a full understanding of the process. The certificate of analysis we provide will stand up in court as long as our sample collection guidelines have been followed correctly. Contact us for details. 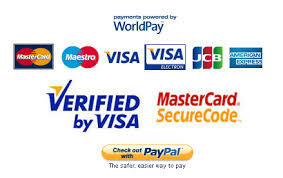 If you wish to proceed, we require credit or debit card details for payment (or a cheque) and the donor’s name and date of birth. Contact us to provide the information by telephone. We then issue a hair test collection pack and arrange a suitable method of hair sample collection. This may be the donor’s GP, solicitor or one of our trained collectors. The test then takes up to 10 working days – although a week is more common. If you would prefer to use urine drug testing or saliva drug tests instead, visit our drug test kits page or our home drug tests FAQ page. Alternatively, you may be interested in drug awareness training or even alcohol testing?